At Penarth Funeral Directors, we understand and appreciate that some families prefer to be more involved in the funeral service arrangements and like to take a more ‘hands-on’ approach. We are more than happy to accommodate your individual wishes and encourage you to be as involved as you would like to or feel able to. 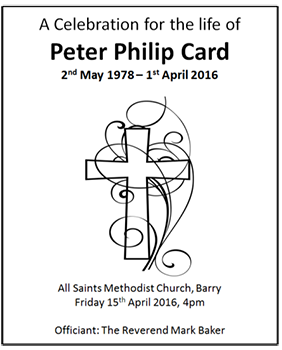 There are many ways in which you can be involved in the organising of the funeral should you want to. As well as providing a more personal service, which may help you with coming to terms with the passing of your loved one, it can also bring financial savings if the cost element is a point of consideration. 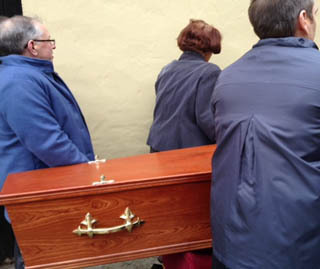 Most Churches / Crematorium prefer the coffins to be glided down the aisle on a trolley guided by 4 people. Families can take up any one of these 4 positions and will be given full instructions by the funeral director. In certain circumstances, you may be allowed to ‘Shoulder Bear’ but we will have to advise if this is possible on a case by case basis due to access and Health & Safety considerations. If you have the skills and resources to design and print your own sheets, we can advise you on the layout and essential information required. You can be as personal as you would like with photos, poems, messages of thanks from the family and truly reflect the individual that you are honouring. A member of the family can welcome the guests to the funeral venue and distribute them as they arrive or place them on the pews in advance if you prefer. 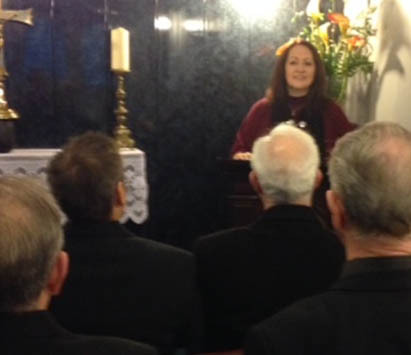 Usually a Minister (for religious funeral) or a Humanist / Celebrant (for a non-religious funeral) would lead the service but if someone within the family circle feels they have the skills, presence and confidence to lead the service, this is a nice way of becoming involved. The person delivering the service would welcome the gathered mourners, introduce any music being played, deliver the Eulogy (memories of the loved one), introduce any other contributors who are speaking at the service, announce any charitable collections, location of wake or gathering, thank everyone for coming. Alternatively, a member of our funeral home will gladly officiate for you to provide a dignified simple service. If your loved one was a member of an organisation (such as a sporting or social club) that can provide a Guard of Honour as the coffin enters the Chapel, this is a nice personal touch and helps more people to feel involved in the commemorating of the life you are gathering to remember. You may not feel the need to hire a Limousine for the transportation of the family to Church / Crematorium / Cemetery / Wake / Reception location if you have sufficient transportation provisions within the family. We can still leave from your chosen residence with the hearse and have your own private vehicles follow on to make up the funeral cortège. Many people these days are opting to just have a single floral tribute which sits on top of the coffin, and then suggest people offer a charitable donations to a chosen charity. 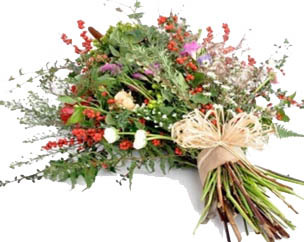 The floral display for the coffin need not come from a florist or cost a lot of money. Sometimes a modest display created by the family from wild flowers or flowers from their own garden are just as beautiful and add an extra personal touch. Perhaps you would prefer a single stem bloom to be placed on top of the coffin by each of the family and close friends of the deceased, actually at the service venue, making a personal, meaningful and poignant tribute. If you would prefer the remains to be returned to you in a vessel of your choosing, maybe a box or tin that has some personal significance to the family, we can accommodate this. Although we can place the Obituary at the cost price from individual publications, the placing of your ‘in print’ tribute can be done by yourself if you prefer. We are happy to advise you as to what information should be included and editorial deadlines. The Crematorium in Barry offer 9am and 10am time allocations at a reduced rate which might be worth considering. Thornhill Crematorium is considerably cheaper than Barry Crematorium (as it is council run), though factor in the travel time and logistics of getting mourners to Thornhill if this is a consideration. The services of the Funeral Director providing all the necessary funeral arrangements, professional advice on certification and registration, liaison with 3rd party suppliers of goods and services. Care of the Deceased until the funeral date. We tailor make each funeral to the specific needs of the family, therefore any additional items or services can be provided, please discuss with us how we can make the day extra special for you. We are fully transparent with our costs and do not charge for goods and services not required. We will provide you with a detailed estimate based on your requests. Terms – For the Family Involved Funeral we ask for payment in full, within 2 days of the funeral booking. Penarth Funeral Directors offer an alternative service to help families facing financial hardship and as such have signed up to the Fair Funerals Pledge.